The ​Golden State Warriors may have the best problem you can ever have in sports: too many superstars. The Warriors are yet again favorites by a mile to win the NBA Finals, and an 11-3 start has shown us no signs of them slowing down. However, that problem I mentioned? It's that when you've got too many stars, you've also got too many egos. And egos want the ball. Great players will naturally have a great confidence in themselves, but when you gather five of them on the same court? It could get messy. We saw a hint of that on Monday night in Los Angeles between Kevin Durant and Draymond Green in their overtime loss to the Clippers. As time expired in regulation with the score tied, Green tried to travel the length of the court by himself for a chance at a game-winning shot, but clumsily lost his balance - and the ball - on the way there. 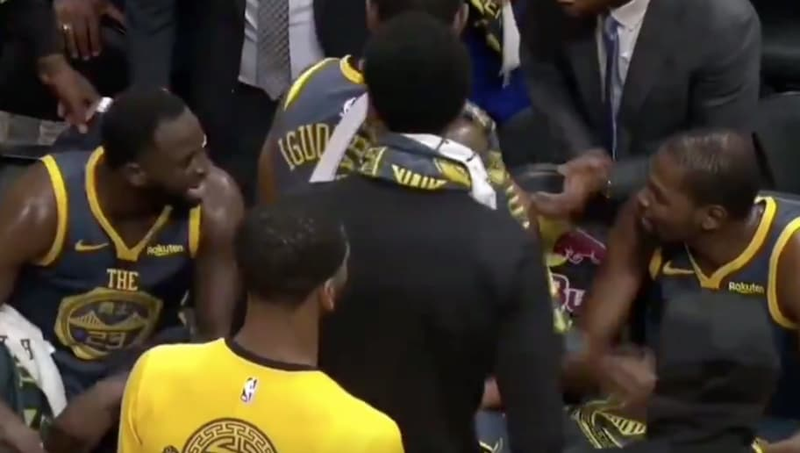 KD clearly wasn't happy on the court or the bench, seemingly pointing to himself as if to say he should be handling the ball in that kind of moment. Green, naturally, disagreed. The exchange was a bit lengthy and good enough for everyone to see. And if we noticed anything, it's that this doesn't feel like the first time these two have fought. Green was barking nastily. KD was smiling and looking in the other direction. Their teammates separated them and tried calming them down. It just felt like this wasn't something new. And perhaps it wasn't. The question is if this was just a normal argument between two guys wanting the ball, or if the relationship between KD and Green isn't as peachy as we'd like to think. Supposing it's the latter, Golden State has done a swell job of keeping it under wraps. Whatever that was, it needs to get cleaned up. This team is destined for another championship. Death by pettiness would be a real shame.